Copyright © SMS 2014 - This image is copyrighted. Unauthorized reproduction prohibited. 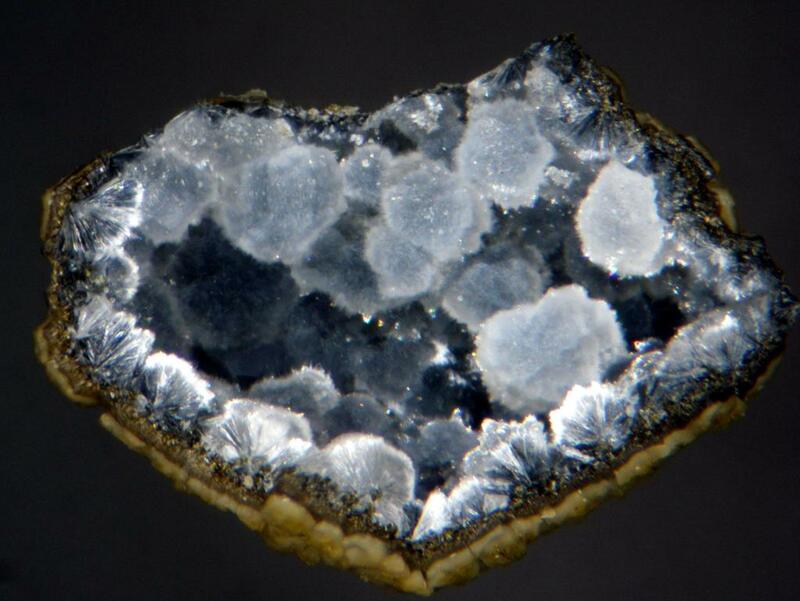 Small pocket with nicely crystallized cowlesite. The specimen was first acquired and mounted by Joey Galt in February 1976 according to her label. She was a Canadian micromounter very active in the CMMA in the '60s through '80s. I purchased it at the 2014 CMMA Symposium as part of a lot of about 120 of her mounts. Image was processed with Zerene Stacker and Picasa 3.9 software. Photo and specimen: Steve Stuart.